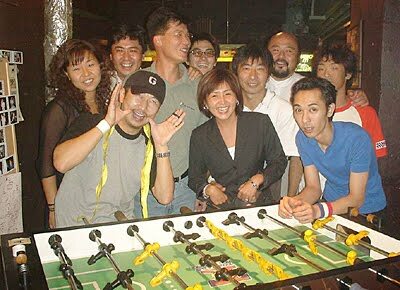 From Left: Junko, Nasu, Hiroshi, me, can't remember this guy's name, Junko, Ryohei, Joe, ouch.. can't remember these guys names as well... sorry. 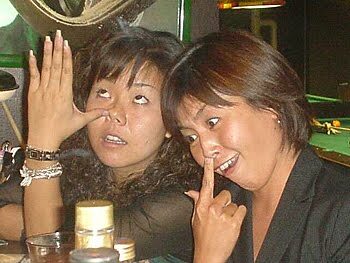 This is what Joe Ueno has to say about Junko and Yoko (left to right), "but oh boy... Yoko & Junko is always like this, it's very fun to be with them". Ahhh... fantastic Barbecue at a Korean Restaurant below Billard Jack. 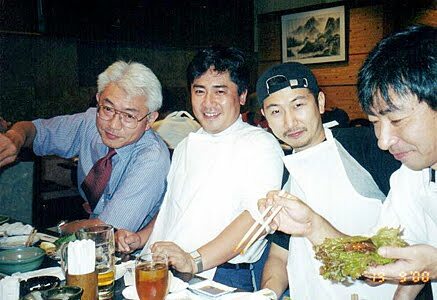 From left: Hidero, Nasu, Hiroshi and Ryohei. 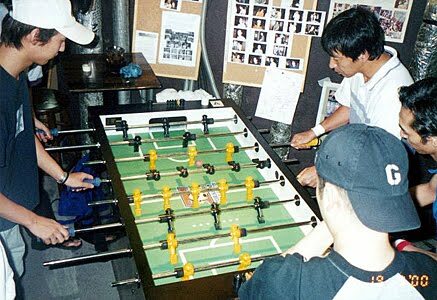 Ryohei setting up a push-kick? 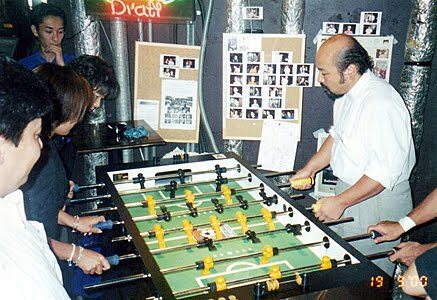 Joe and Ryohei versus Junko and Yoko. Some Photos by Joe Ueno's Sony Digital Camera!! !